Every now and then an unexpected delivery comes to my house and the timing is so perfect, it reinforces my belief in fate. 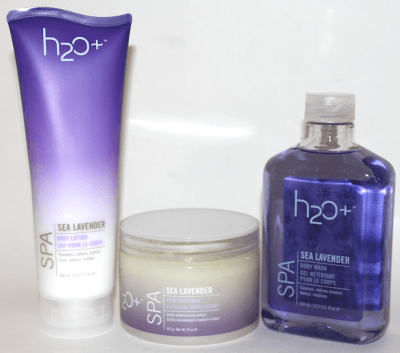 That was what happened when I received the new Spa Sea Amber and Spa Sea Lavender collections from H2O Plus. My life has been in a total state of chaos for the past 6-8 weeks, as we are building a new home. Running to meet subcontractors, trying to pick out tile, fixtures and lighting (the worst), deciding on paint colors. It’s all been overwhelming and a blur. I kept thinking how nice it would be to schedule a massage and facial to relax. But there has been.no.time. Luckily, when I got the box of H2O Plus Spa Sea Amber and Spa Sea Lavender products, I decided to make time and I’m so glad I did. Spa Sea Amber is the most perfectly fragranced body line for Fall. The collection includes a Body Wash ($18), Body Lotion ($20) and Skin Smoother, which is a sea salt scrub ($25). The scent is warm and soothing, with notes of spiced vanilla, citrus and jasmine. 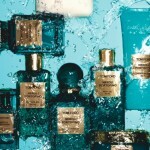 I love an amber-based fragrance for Fall, so I adore this collection. Spa Sea Lavender is also an excellent discovery. The calming and relaxing notes of lavender sachet, water lily, citrus, aquatic musk were just what I needed to chill and bliss out. I love using the Spa Sea Lavender Body Wash and Body Lotion when I take a warm shower at night or when I get home from the gym. A basket of these products would be such a thoughtful gift for a new mom or someone having a stressful time. You can find the H2O Plus Spa Sea Amber and Spa Sea Lavender collections at H2O Plus retail stores, ULTA locations nationwide and online at www.h2oplus.com. If you need new body products for Fall, check these out! Disclosure: Press samples were provided by the brand/PR for editorial consideration, product testing, photography and review; affiliate links are used in the post. For more information refer to Disclosure Policy. 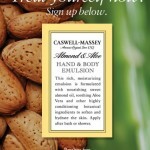 Caswell-Massey Almond & Aloe Giveaway! 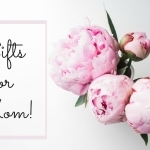 Gift Ideas for Mom Under $75!